Thank you to the 67 poets from around the world and across the United States who contributed their work to the Silver Birch Press Self-Portrait Poetry Series, which ran from August 1-31, 2014. Special thanks to Peter Markus, writer-in-residence at the InsideOut Literary Arts Project of Detroit, for submitting his students’ poems. his shoelaces but I get so impatient. I tell him the laces are too long. mixed in with beet skins and egg shells. considered as dangerous when I was down. IMAGE: “Gizmo 2” by Leah Saulnier. Prints available at fineartamerica.com. ABOUT THE AUTHOR: Carol Berg’s poems are forthcoming or in The Journal, Spillway, Sou’wester, Redactions, Pebble Lake Review, Fifth Wednesday Journal, and Verse Wisconsin. Her most recent chapbook, Her Vena Amoris, is available from Red Bird Chapbooks. NOTE FROM THE AUTHOR: I wake every morning excited about the possibilities; wondering what miracle will reveal itself throughout the day. Always there is something – a glimpse of lizard changing from black to emerald; a research pearl; a poem that gets stuck in my head. It’s the blessing of being able to do what you love – the excitement of a blank sheet of paper; words pulled down from the sky. 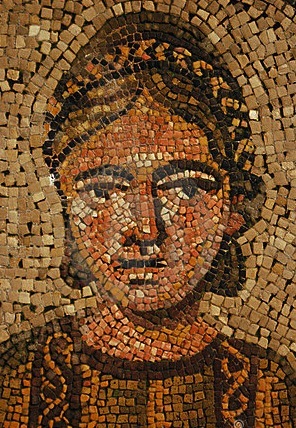 IMAGE: Roman mosaic of young woman, available at dreamstime.com. ABOUT THE AUTHOR: karla k. morton, the 2010 Texas Poet Laureate, is a Councilor of the Texas Institute of Letters and a graduate of Texas A&M University. Described as “one of the most adventurous voices in American poetry,” she is a Betsy Colquitt Award Winner, twice an Indie National Book Award Winner, the recipient of the Writer-in-Residency E2C Grant, and the author of nine collections of poetry. Morton has been nominated for the Pushcart Prize, is a nominee for the National Cowgirl Hall of Fame, and established an ekphrastic collaborative touring exhibit titled: No End of Vision: Texas as Seen By Two Laureates, pairing photography with poetry with Texas Poet Laureate Alan Birkelbach. Morton’s work has been used by many students in their UIL Contemporary Poetry contests, and was recently featured with seven other prominent authors in 8 Voices: Contemporary Poetry of the American Southwest. Her forthcoming book (her 10th), Constant State of Leaping (The Texas Review Press), arrives Fall, 2014.
que la misère — serait moins pénible au soleil. take me, not the Burning Giraffe, i am the drug. the human skull consisting of seven naked women’s bodies. skeleton ships become men and men become voyages. beforehand, you might as well not paint it. 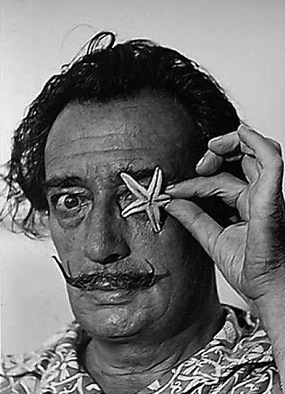 IMAGE: Salvador Dali with a starfish on the beach in Cadaques, Spain (c.1960). 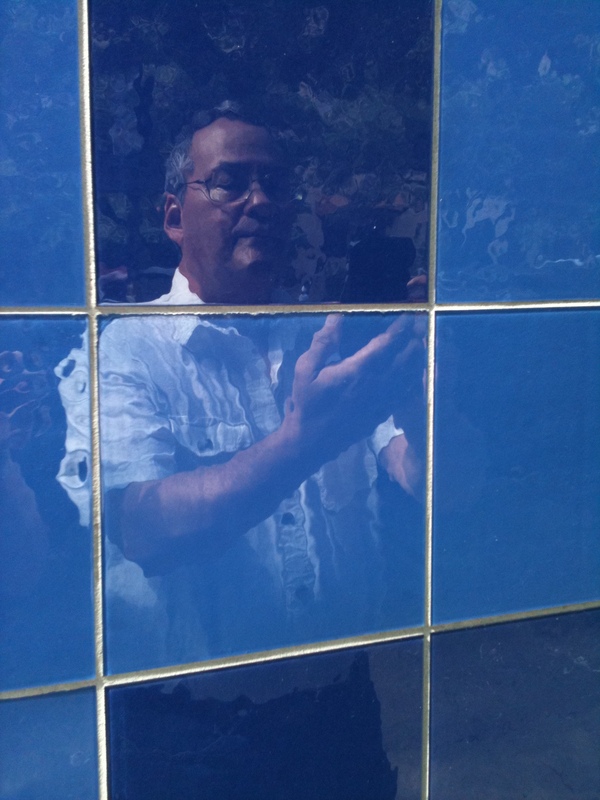 ABOUT THE AUTHOR: Jax NTP holds an MFA in Creative Writing – Poetry from CSULB. Jax was the former editor-in-chief of RipRap Literary Journal and associate editor of The Fat City Review. Jax has an affinity for jellyfish and polaris and a fetish for miniature succulent terrariums. Visit her at jaxntppoet.tumblr.com. the median and the shortened spectrum, near dawn’s terminus. In many languages, one word describes both blue and green. Homer had no word for it. expectation, it cools and calms, and slows the heart. Woad. Indigo. Azurite. Lapis lazuli. Dyes. Minerals. Words. Alchemy. On this clear day I stretch my body on the pond’s surface and submerge. and offers the living solace through flatted notes and blurred 7ths. Blue eyes contain no blue pigment. In China, it is associated with torment. In Turkey, with mourning. admit the leaves and sky, the ocean, the earth. Water captures the red, but reflects and scatters blue. Look to me and absorb, and absorbing, perceive. 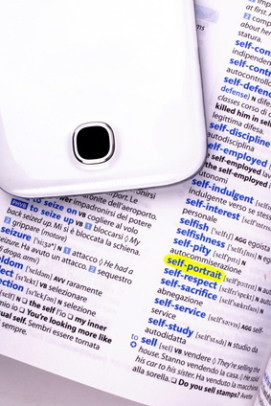 PHOTO: Self-portrait by Robert Okaji. ABOUT THE AUTHOR: Robert Okaji’s work has appeared in Boston Review, Otoliths, Prime Number Magazine, Clade Song, and Vayavya, among others. He lives in Texas with his wife and two dogs. 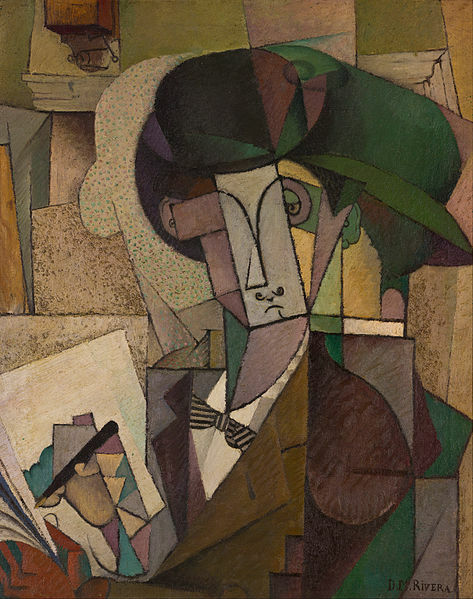 IMAGE: “Young Man with a Fountain Pen” by Diego Rivera (1914). ABOUT THE AUTHOR: David Diaz is a 26-year-old bike tech and part-time editor at American Mustard who lives in Lakewood, California. He received his BA in Literature and Creative Writing from Cal State Long Beach, and is currently pursuing his MFA there. 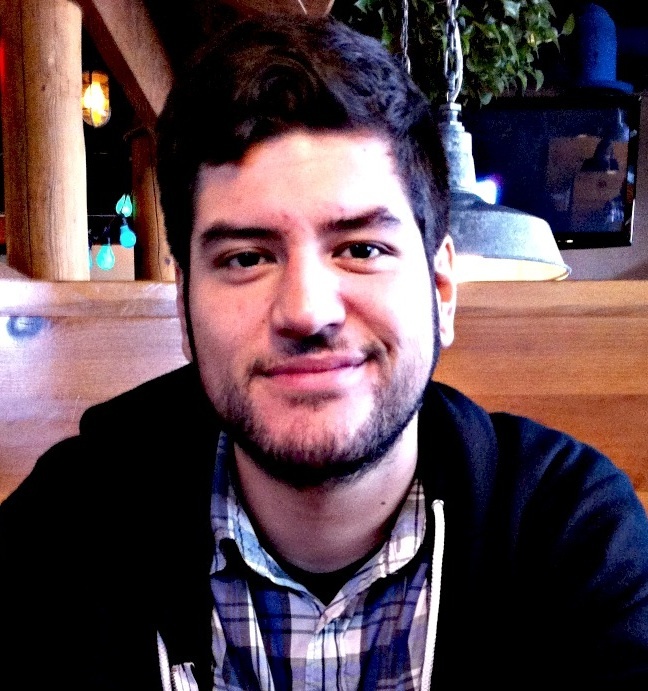 His work has been featured by Cadence Collective, Birds Thumb, and has a chapbook entitled Loogie Papers that was published by Tiny Splendor Press in 2012. David loves concerts, poetry readings, book releases, drive-in movies, and is addicted to Los Angeles. from a sheet of mercury glass. a trick of light refracted. she saw in the mirror as a young girl. 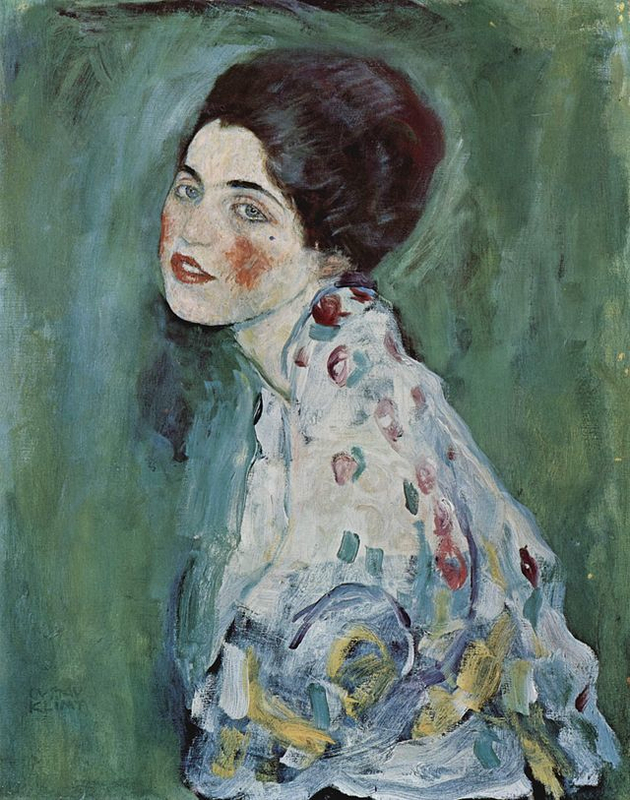 IMAGE: “Portrait of a Lady” by Gustav Klimt (1917). ABOUT THE AUTHOR: Beth Copeland lived in Japan, India, and North Carolina as a child. Her book Traveling Through Glass received the 1999 Bright Hill Press Poetry Book Award and her second poetry collection Transcendental Telemarketer was released by BlazeVOX books in 2012. Her poems have been widely published in literary journals and have received awards from Atlanta Review, North American Review, The North Carolina Poetry Society, and Peregrine. Two of her poems have been nominated for a Pushcart Prize. She is an English instructor at Methodist University in Fayetteville, North Carolina. She lives in a log cabin in the country with her husband, Phil Rech. 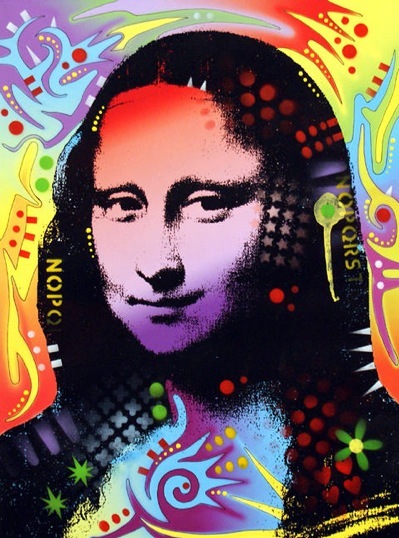 IMAGE: “Mona Lisa” by Dean Russo. Prints available at fineartamerica.com. 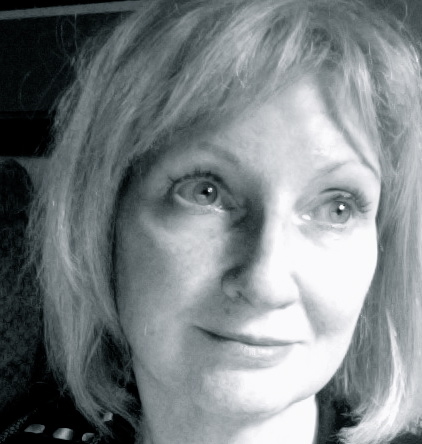 ABOUT THE AUTHOR: Adelle Foley is a retirement administrator, an arts activist, and a writer of haiku. Her column, “High Street Neighborhood News,” appears monthly in The MacArthur Metro. Her poems have appeared in various magazines, in textbooks, and in Columbia University Press’s internet database, the Columbia Granger’s World of Poetry. Along the Bloodline is her first book-length collection. 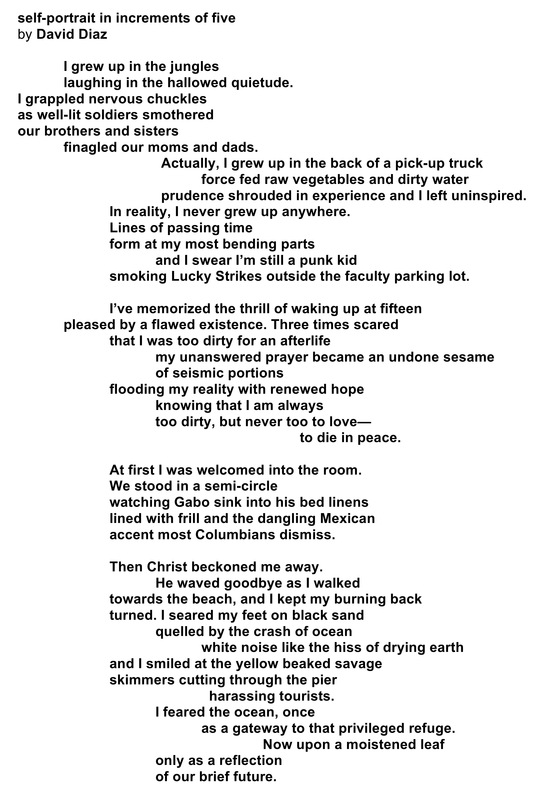 Beat poet Michael McClure writes, “Adelle Foley’s haikus show us humanity. 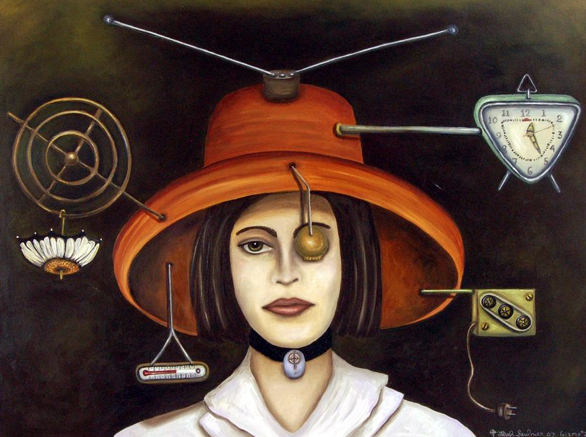 Their vitality and imagination shine from her compassion; from seeing things as they truly are.” Visit her online at jack-adellefoley.com. My body is a bear heavy and ready to hibernate. My arms are so stretchable they can stretch up to ten miles. My head is a red balloon being lifted into the air flying high. My feet are motors running through the icy cold sea. My teeth are bigger and sharper than a great white shark’s. 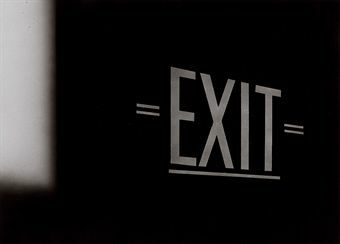 IMAGE: “Exit” by Ed Ruscha (1990). ABOUT THE AUTHOR: Eddie Stewart is a student at Marcus Garvey Academy in Detroit, Michigan. His poem was written as part of the InsideOut Literary Arts Project of Detroit. 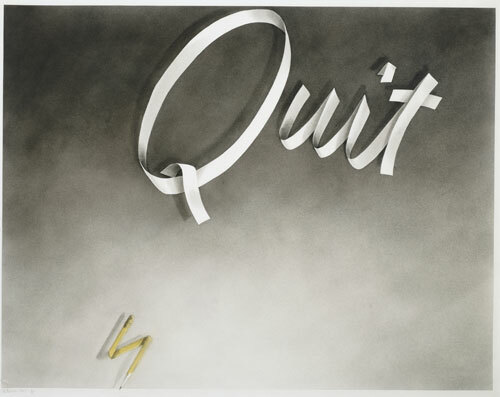 IMAGE: “Quit” by Ed Ruscha (1967). 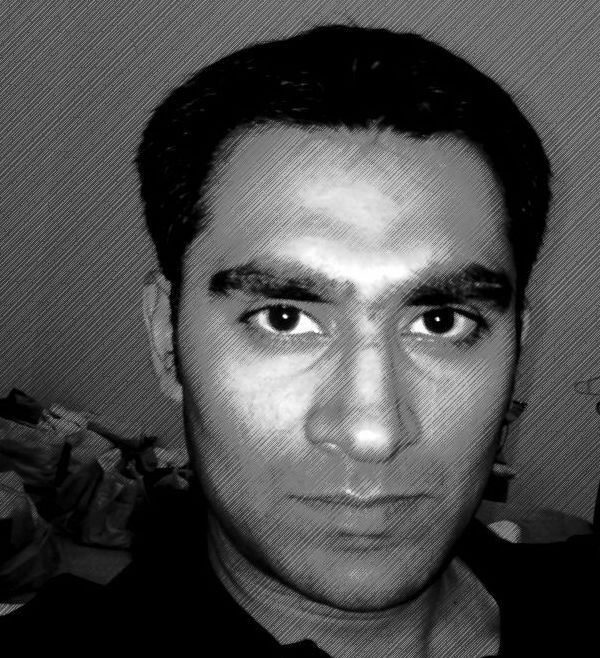 ABOUT THE AUTHOR: Rizwan Saleem is a banker by profession residing in Dubai UAE, and fancies himself a poet of the lowest caliber. The thoughts and expressions detailed in his works are of his various escapades suffered through life and of the profound surprise of having survived long enough to pen them into words. The writer wishes that readers may be able to afford a sardonic smile upon reading his work and relate themselves to his rhymes. We have been Freshly Pressed three times! Thank you to authors Robin Dawn Hudechek, Joan Colby, and Bunkong Tuon for their freshly pressed poems!